Acting on behalf of a global community that sees a range of upcoming musicians play gigs in intimate spaces, Sofar Sounds has established itself as one of the region’s best kept secrets. Organiser Matt Hunsley (who is also a talented local singer-songwriter) leads the hunt for some of the North East’s best emerging talent, who are capable of performing acoustic sets in smaller venues. Whether it’s in someone’s Kitchen, front room or, like tonight’s venue, a tiny function room within Newcastle’s Hotel Du Vin, the sessions seem to have a special kind of atmosphere. Opening up the gig is Manchester and Newcastle based singer-songwriter Caoilfhionn (pronounced ‘Keelin’) Rose who offers up heartfelt piano ballads to a cosy crowd, gathered like cub scouts round a campfire. It’s a close environment, which makes the music all the more intriguing, every subtle nuance of Rose’s vocal registering with everyone in the room. Next up is Jake Houlsby, who is currently readying himself for a set at this years’ Evolution Emerging festival just down the road in Ouseburn. He begins each track with a candid introduction of its emotional context – something that could easily become awkward within a room of this size and capacity, but as soon as Houlsby begins to play the opening lines of Carousel, it all makes complete sense. He ends on a Hispanic-infused guitar jam, layering loops on top of eachother to create a hypnotising, Ennio Morricone-like soundscape, showings off his skills as a guitarist, as well as a competent singer. After a brief pause, in which Hunsley takes time to thank the acts who’ve taken part, as well as the tight-knit crowd of listeners for supporting their local scene – PLAZA shimmy into place for the final set of the night. The Hartlepool lads are becoming a strong force within the North East scene at the moment. 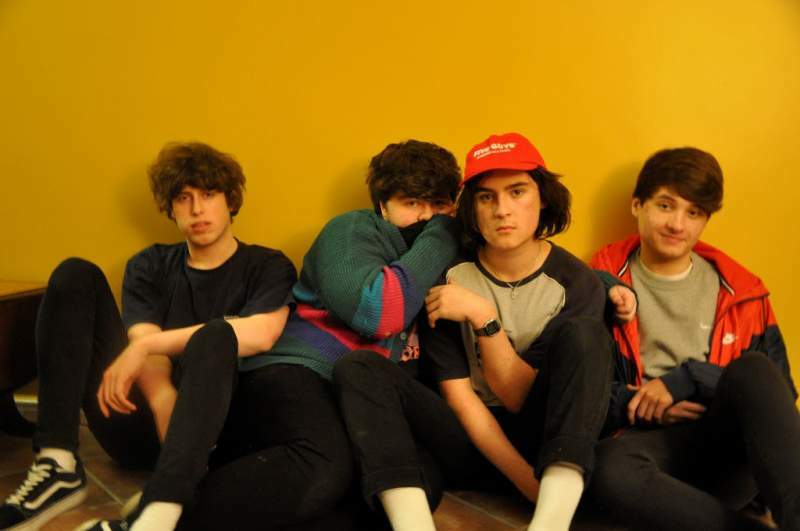 After recently selling out a gig at new Dog and Parrot based venue Jumpin’ Jacks last month, they are heading into Evolution Emerging with huge backing, not to mention countless plays from DJs over at BBC Radio 1. The band play through tracks from their debut EP, kicking off with the laid-back guitar-pop of Fickle and segueing into latest single Totem, which the band have recently released a video for online. Until now there’s been a slight awkwardness between tracks, but the lads fill it with daft humour and genuine appreciation for all who have turned out to listen. PLAZA end on what will be their next single, Blood Orange – a solid summer tune which shows-off a band brimming with potential and rounds of my first Sofar experience very nicely.